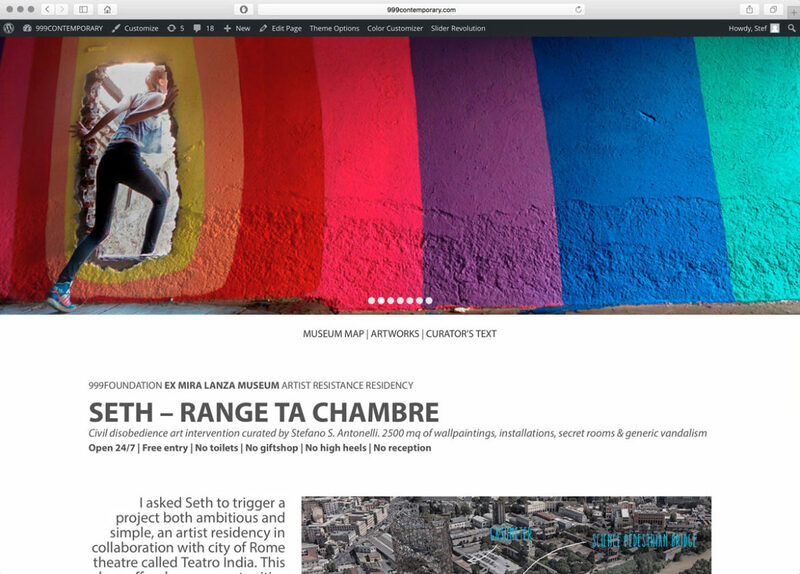 I asked Seth to trigger a project both ambitious and simple, an artist residency in collaboration with city of Rome theatre called Teatro India. This place offers huge opportunities for an artist, three large industrial sheds and a park with industrial archaeological vestiges. This residency program has no obligations. You can organise a show, make a book, plan an installation or nothing at all, you can do whatever you want. I asked only one thing, I asked the artist to work in the space, to use possibly all the structure of the teather, even if it is not an obligation. How did it go?